Just visit UPexpress.com before September 15, 2019 and use promo code IIA2019 to get your 25% discount on adult return tickets (round trip) from Pearson Station to Union Station (regular price $24.70 CAD). Tickets are valid for 1 year. 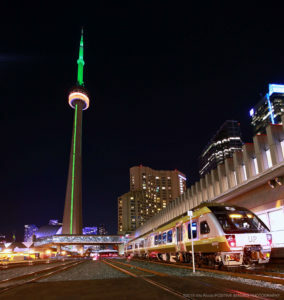 UP Express connect Toronto Pearson International Airport to Union Station in the heart of downtown Toronto in just 25 stress-free minutes – less than half the time it often takes by car. Trains leave every 15 minutes with the first train departing Pearson Station at 05:27 and the last train departing at 00:57. There’s no easier or more convenient way to get to and from Toronto Pearson.